Local author and Franklin Civil War Round Table member Gary Waddey will speak on his new book, “Forward My Brave Boys,” on Sunday, Aug. 14. The recently released book is a history of the 11th Tennessee Infantry (CSA), published by the Mercer University Press. Men from Davidson, Dickson, Hickman, Humphreys and Robertson counties were recruited in early 1861, even prior to the vote for Tennessee to leave the Union. The 11th Tennessee saw action early in Kentucky and were among the first to see heavy fighting at Stone’s River. They later served in the Chattanooga and Atlanta campaigns, where they suffered heavy losses. On Nov. 30, 1864, the 11th Tennessee was among those Confederate troops breaking the Union defenses at Franklin in hand-to-hand combat around the Carter House. This exhaustive study is considered by many to be one of the best regimental histories to be released in quite a while and has been nominated for two book awards. Waddey, a member of several Civil War historical and preservation groups, will have copies of “Forward My Brave Boys” at our August event. 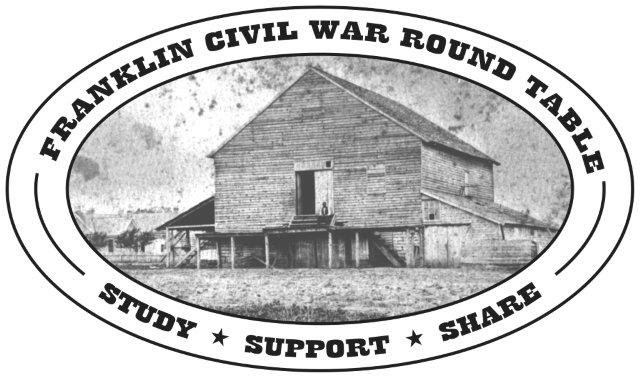 This Franklin Civil War Round Table presentation will be at Carnton’s Fleming Center on Sunday, Aug. 14. The event is open to the public. The Carnton Plantation is located on Lewisburg Pike just a couple of miles south of the town square. For additional information, contact glwade@travelers.com.